04/03/20108 @ 12:53 am. An unknown suspect removed a doorknob to gain entry to the apartment complex and damaged five additional doorknobs as he was entering various areas of the building. 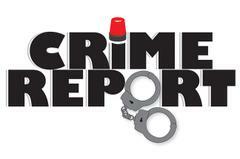 This report lists Part 1 Crimes for the date range shown and is not meant to be a complete list of all Part 1 crime.